-Cinnamon is known as a potent warrior against heart disease and diabetes. -Ginger not only soothes your digestive system, it can aid in memory. -Nutmeg is an anti-inflammatory that can fight cancer. -Chili powder– that vibrant red spice that adds the famous heat to Indian cooking — revs up your metabolism and can lower blood pressure. -Turmeric, the spice to beat all spices, is an anti-inflammatory, fights cancer, reduces arthritis symptoms, improves the body’s anti-oxidant capacity, can help with Alzheimer’s and depression, and can fight heart disease., among other things. So what’s stopping you? Go on, add some of the goodness of spices to your kitchen and your cooking. 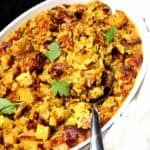 All of the recipes below are individually printable (look for the tiny “print” button under the photo in each recipe), and most make enough masala for several servings. Store any extras in air-tight jars in a dark, cool place. 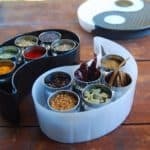 Over the years, I’ve expanded this list to also include recipes from regions and countries around the world that use their own spice mixes. So you’ll also find here recipes for Thai curry pastes — green, yellow, and red — Harissa and Ras el Hanout from Morocco, Berbere from Ethiopia, and so on. 1- inch stick of cinnamon. Roast all the ingredients lightly in a dry skillet, about 4-5 minutes. The spices will be very aromatic and a couple of shades darker when they're ready. This Biryani Masala Paste is a great, aromatic spice mix to use in biryani and other rice dishes. 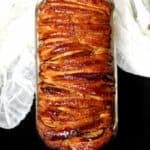 1 small onion , very thinly sliced, then fried in a fairly hot griddle for about 10-15 minutes, stirring often, until the onion turns brown and crispy. You don’t want to leave the onion unattended too long because onions contain sugar and will burn. Place all the ingredients in a blender, add just enough water to make the blades turn, and let it all roll away into a smooth paste. You will need about half of this paste for the biryani recipe and can store the rest of it in an airtight container in the freezer…for a long, long time. A spice mix for popular restaurant recipes like Chana Masala and Rajma. Place all the ingredients in a spice grinder and process until you have a powder. A mix of lentils and spices used to make the south Indian dal, Sambar, or Kuzhambu. Roast all ingredients, one at a time, on the skillet. 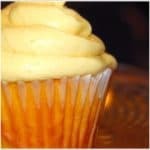 You want them to be aromatic and two or three shades darker than they were, but don't let them burn or darken too much. 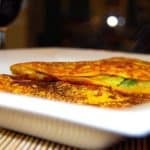 Since the turmeric is already powdered, toast it very lightly, for only about a minute-- if you toast it last, you can even do this in the already-hot skillet with the heat turned off. A spice mix used to make the aromatic south Indian dal or soup, Rasam. Toast the spices lightly on a dry skillet one by one until they turn aromatic and are two or three shades darker. Don't burn them and stir them constantly. Toast the turmeric lightly and add to a spice grinder or blender along with the other spices. A spice mix made with lavangi chilies from Kolhapur, in India. Goda masala, which translates to "sweet masala" is a milder version of garam masala used in the kitchens of Maharashtra. It includes coconut, which tamps down the spice a little. Perhaps the simplest of the spice mixes, because there's no grinding involved. Also easy to remember-- you need the five spices in the same proportions. The five spices of Panch Phoran create incredible culinary alchemy when used together, complimenting and mingling with each other perfectly to enhance the main dish. This powdered spice mix is used to make dhansak, an aromatic dal dish that hails from India's Parsi community. This spice mix is perfect to sprinkle into curries and vegetable sides for a striking, Caribbean flavor. A spicy mix for curries, stews and rubs. A vegan Thai red curry paste without fish sauce, but just as tasty. Place all ingredients and ½ cup of the coconut milk in a blender bowl. Blitz into a smooth paste, adding more coconut milk if needed to keep the blades moving. 1 tsp cumin seeds + 1 tsp coriander seeds, lightly toasted, then powdered in a spice grinder. Make the paste by putting all of the Harissa ingredients in a food processor and process until fairly smooth. You can freeze the remaining paste in an air-tight jar. Berbere is a vibrantly red Ethiopian spice mix used to make recipes like Doro Wat. Process to a fine powder in a blender and store in an air-tight jar. Balti Sauce is a spice paste used in Britain, that originated in the country's Pakistani community. It works great as a base for "meaty" vegetables and curries. Heat a skillet. Dry-roast the bay leaves, coriander, cumin, fennel, mustard, cardamom, cloves, bay leaves and chilies until they are slightly darker and fragrant, about three to four minutes. 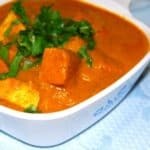 A Kadai Masala recipe for dishes like Kadai Tofu Paneer. A spicy, saucy Tikka Masala Curry Paste that you can store in the refrigerator or freezer and pull out during busy days to make a tasty meal in under 15 minutes. 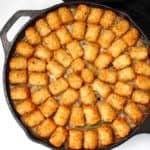 Heat the oil in a nonstick pan. Add the cardamom, cloves, cinnamon and bay leaves. Stir until he cardamom begins to turn lightly golden, about two minutes. Add the cumin and coriander seeds and stir-fry for a few more minutes until the coriander starts to darken slightly. Add the onions, ginger, garlic, a pinch of salt, and sugar. Stir-fry over medium heat until the onions start to turn brown. Add the kasoori methi, tomato paste and tomatoes and mix well. Add 1/4 cup of water, cover, and let the mixture cook about 15 minutes or until the tomatoes are really mushy and most of the water has evaporated. Let the mixture cool, then transfer to a blender along with the soaked cashews. Blend into a smooth paste, adding a little water, a tablespoon at a time, if necessary to keep the blades moving. Scrape into an airtight jar and store in the refrigerator if you plan to use within a week, or in the freezer if you want to keep it for longer. Thaw out before using. Next, stay tuned for a curry using this tikka masala curry paste. A fragrant Moroccan spice mix with all spice, coriander, cumin, paprika, and more. Use it in tagines and stews. Place all the ingredients in a spice grinder and grind into a coarse powder. Preserve in an air-tight jar at room temperature. 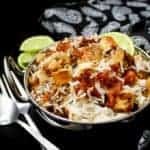 Awesome collection of masala recepie ….. 🙂 just wanted to know from where did u get your spice masala box …… It’s very unique …… Thank you for contributing such valuable info for everyone. Hi Jully, it is sold by GitaDini. Hi Mike, so happy you made the sambar masala and thanks for letting me know! Moong with potatoes sounds super delicious — I have to give that a try. I love Manjula’s website, and have to check out her garam masala mix. Hi Shilpa, I love my Vitamix because I can grind all of my heavy Indian masalas and even dosa batter in it. The Vitamix is a little pricey, but well worth the investment, in my opinion. Before I got this one, I had a Cuisinart but it died after about four or five years of blending so I wouldn’t really recommend it for the heavy grinding required for Indian dishes. The Vitamix I bought from Costco came with a dry-grinding jar which is good to make garam masala, sambar powder, etc. Or to dry-grind smaller quantities you can use a coffee grinder– I use a Braun one which I got for about 20 bucks and it’s pretty good. Am looking for a Dhansak masala in paste form. 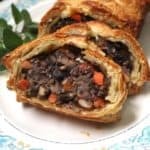 What can I add to the dry ingredients to make it into a paste? Thanks a lot. Lovely page! Hi Rashna, you can just add water. Or add the dry masala where the recipe calls for a paste. I’m new to the DC area and I am looking for a good spice market to pick up some Indian spices. In particular I need ajwian and urad dal for a Thanksgiving dish. Do you have any reccomendations for me? Hi Laura, I go to the Patel Brothers on University Blvd in Langley Park, MD, or Daily Spices on Lee Highway in Fairfax, Va. Both have all the spices you will need. Great post. very usefull, thanks! Uthra, thanks for letting me know! just curious…where do you buy your whole spices? is there a good online merchant you use that has reasonable prices and organic options? thanks! Hi Sage, I buy them from my local Indian grocery store, but Amazon is a good source. 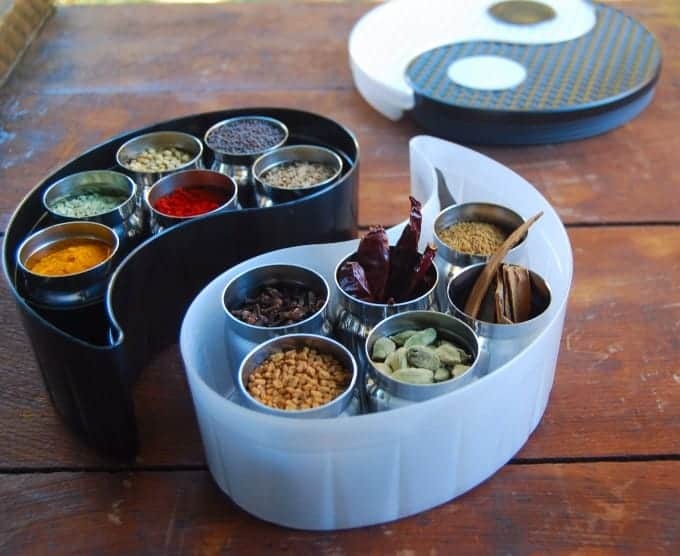 Thank you Arpitha, for this post..it is now my go to for Indian spice mixes…it is much appreciated. Hi Asmita, it is sold by Gitadini. Beautiful description of masalas. Just loved it. 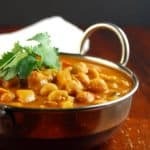 I saw a recipe that calls for shish kabob masala and I was wondering which of the above might work best or if there was a specific shish kabob masala seasoning recipe I could make at home? Sold by Gitadini– there’s a link in the blog. I have saved this list and I will start making it so that I don’t buy from outside. Thanks for sharing such a elaborate list. Living in South Africa where we have thousands of Indian ladies one would think finding a Ginger and Garlic Masala mix will be easy, no way! dry mix, it is also easy to find spices if and when I need. I used to get a dry Ginger and Garlic mix from an Indian lady but she moved her business away and my Masala is at a critical level. Hi Phils, there are so many different Indian spice mixes, and even more mixes created by immigrant Indians in foreign lands. 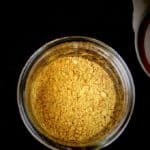 A ginger and garlic masala mix — that includes more than just ginger and garlic — sounds like it might be something unique to South Africa’s large Indian community– I’ve never come across it before. Sorry I am not much help, but I will explore it and meanwhile, perhaps there are other readers who have an idea? If so, feel free to pipe in. Regarding cardamom pods, do you mean grind the whole pods or just the seeds inside? The whole pods– the green ones with the relatively tender skins. Vaishali, aside from an amazingly delicious offering of spices recipes, that is by far the coolest tiffin I have ever seen! Where did you get that? What a fantastic collection of spice recipes! This is superb. I grind my own spices, because I like the fresh stuff. These look outstanding. Thank you very much for this. I wanted to order a new grinder, but I have to use the Canadian amazon website. We can order from that one, but it will cost a small fortune. Rats. This is such an incredible resource, Vaishali. I have almost stopped buying spice mixes in the store. So much better to make your own. And the best part is it takes so little time. 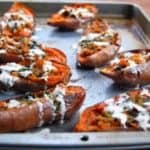 Thrilled to find these spice recipes while browsing your site. Wonderful to have them all in one place. Thank you. Thanks so much for creating these! They are incredible. My family is from India but I was born in the US so I have little experience cooking indian food except for buying the store mixed “kitchen king” type of spice blends when my husband and I make indian food for dinner. This will be so helpful for us!!! It’s been a while since I’ve written but I went to make bhaji today only to find that I dont have enough of the Bhaji Masala. Do you have a mix you could post or a good substitution? Hi Herb, I’ll try and get something up soon, but meanwhile you could use garam masala.